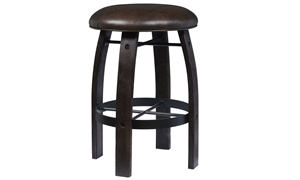 Let the good times roll and the cool drinks flow with the Sgt. 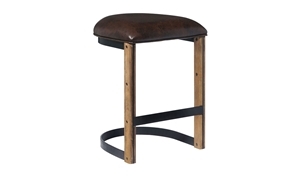 Patches gathering table from the Oozlefinch bar collection. 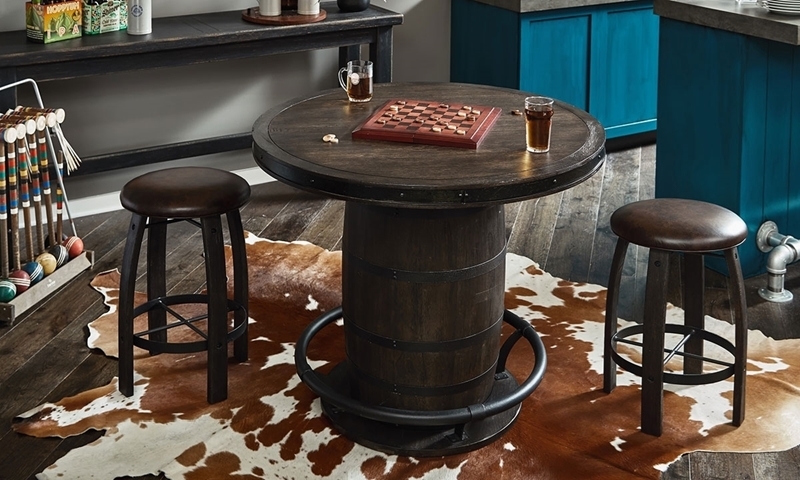 With its barrel-shaped pedestal, this counter height table is sure to be remembered and loved by all, much like its namesake: a clever Great Dane given the rank of Army sergeant during WWII at Battery DeRussy near Fort Monroe. 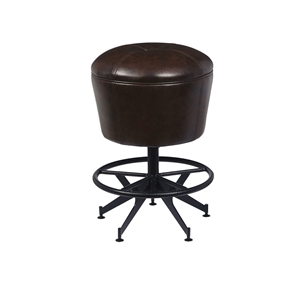 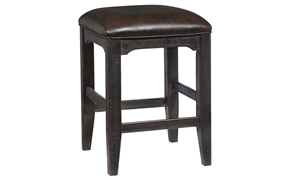 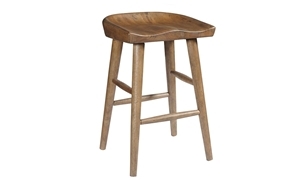 A hand distressed dark stout finish lends depth to this design, complete with a metal footrest and riveted accents on its 44-inch round table top.